(Francisco Kjolseth | The Salt Lake Tribune) Tailings from an old mine frame the upper basin of Grizzly Gulch on the other side of the road from Alta Ski Resort on Monday, Nov. 5, 2018. Alta Ski Area will not be included in the proposed Central Wasatch National Conservation and Recreation Area. Cottonwood Heights • A conservation plan that would expand wilderness by thousands of acres and limit ski resort growth in Salt Lake County may finally make its way to Congress, with draft legislation passed unanimously Monday by the Central Wasatch Commission. But Alta Ski Area is still free to develop commercial skiing in Grizzly Gulch — and seek permission to expand to Patsy Marley Ridge — after the Little Cottonwood Canyon resort’s managers rebuffed conservationists’ final offers and stayed out of the proposed 80,000-acre national conservation and recreation area. “We have worked hard … to try to find consensus,” said commissioner Chris Robinson, Summit County Council member. Robinson said conservation groups proposed a deal that would facilitate Alta’s potential development on its lands in Grizzly Gulch, now a popular backcountry skiing spot, in exchange for protections on U.S. Forest Service land at Patsy Marley Ridge, which leads to Wolverine Cirque. 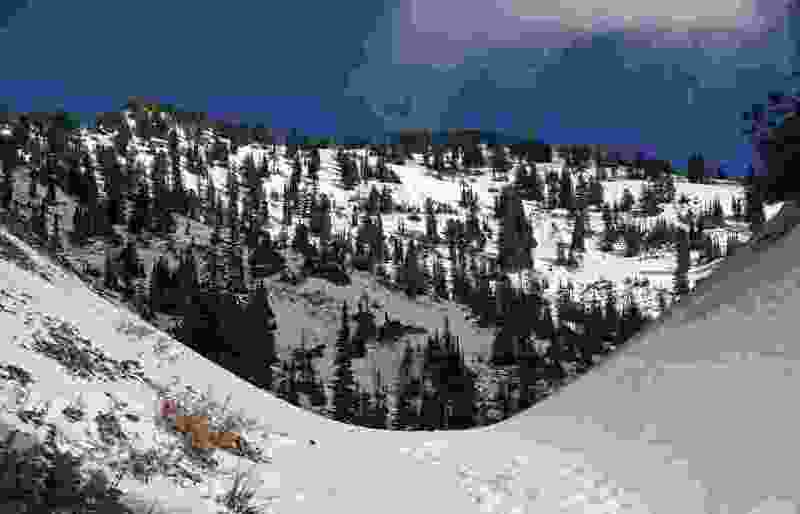 The ridge is presently used by Alta for avalanche control, but there are no lifts to the alpine area; conservationists’ proposal would have protected the area from further ski development. “Unfortunately, in my judgment, that compromise, that olive branch, was not acceptable to [Alta] because they liked everything there, but they wanted to reserve the right to keep … that Patsy Marley area as an area to which they can expand, subject to successful petitioning of the forest service,” Robinson said. Commissioner Andy Beerman, mayor of Park City, said the last-minute proposal was a “bold” move on the part of conservationists from Wasatch Backcountry Alliance and Save Our Canyons. “I can only imagine how hard that was to get through their boards,” Beerman said. “I’m very disappointed it wasn’t reciprocated." Alta Ski Area’s elimination from the conservation plan prompted Alta Town also to withdraw from the proposed boundaries of the conservation and recreation area. Had the ski area stayed in the boundaries, it would have enabled land swaps of parcels within the town boundaries, said Alta Mayor Harris Sondak. Without that, the conservation and recreation area just complicated the town’s already-complex nexus of municipal, county and federal jurisdictions, Sondak said. “The outcome where we are today is perhaps acceptable but it’s disappointing,” Sondak said. “We’ll just keep working because we all want to see Alta as part of the deal,” agreed Chris McCandless, the commission chairman and Sandy City Council member. The legislation was to be forwarded to Rep. Mia Love, but her challenger, Democratic Salt Lake County Mayor Ben McAdams declared victory in the race to represent Utah’s 4th Congressional District as vote totals late Monday showed he held a narrow lead. McAdams has previously expressed support for the proposal, Becker said. It is unclear what the proposal’s fate will be under the new Democratic leadership in the House. • Create a 6,158-acre wilderness area encompassing Mount Aire and Grandeur Peak north of Mill Creek Canyon. • Enlarge the existing Lone Peak Wilderness Area by adding foothill terrain near Draper. • Create an 1,800-acre White Pine special management area, which would function like wilderness with exceptions for heli-skiing and reservoir maintenance. • Adjust existing wilderness boundaries along the foothills to accommodate bike riding, which is not allowed in designated wilderness. • Allow ski areas to buy private land elsewhere in the canyons to use in land trades with the U.S. Forest Service.